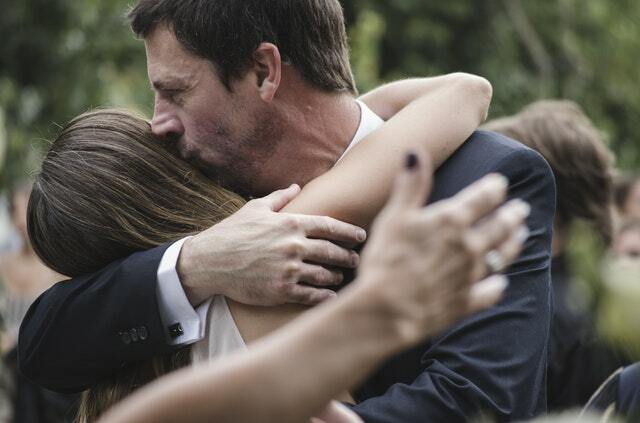 Make Dad feel special on his day with these gifts. It's that time of year again when we recognize all the hard work our dad has done for us. One of which is surprising them with something that they would be delighted to have. Typical gifts include ties, Best Dad mugs, and shavers but try to give them something different this year. Great presents are those items that would be of good use to them; something related to their job or personality. Need some suggestions? Here are five products that are worth gifting them this June 17th. 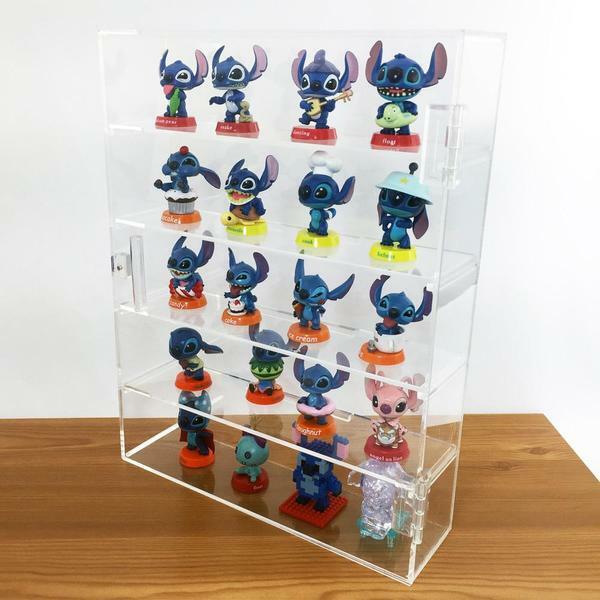 For lovable geek dads who have a huge collection of toys, the Acrylic Display Rack Case Organizer Storage Box Case is the ideal choice. It is a four-tier case that features a door that is secured by magnets. All four shelves are also removable so storing longer toys won’t be a problem. It is made of premium acrylic, so it sure is in the best quality. Plus, it’s easy to clean and is much less brittle than glass. This box case’s overall size dimensions are 10 7/8" W x 2 7/8" D x 14" H.
This Folding Storage Ottoman is the perfect gift either for the dad who has a comic book or magazine collection or the corporate dad who has lots of important documents that need organizing. It can hold other stuff too, like books, or other collectibles that he values. This ottoman is sturdily made with a spacious storage capacity that would look good in his study, bedroom, or the living room. It features U-shaped metal wires that can organize office files, books, magazines, and even clothes. This ottoman has a thick water resistance high-quality black PU leatherette surface and non-woven fabric interior. Its size dimensions are 14” W x 14” D x 13 1/2” H and the top lid is 3” H.
For the DIY loving dads who just can’t stop building things and crafting stuff, this Wooden Craft Tool Box With Handle would be the perfect present. It is lightweight but made with a lot of features. It has five main compartments that can hold small crafting items and tools or regular hardware, plus a removable sliding compartment for longer tools. The cylindrical handle makes it easy for transporting the tools. 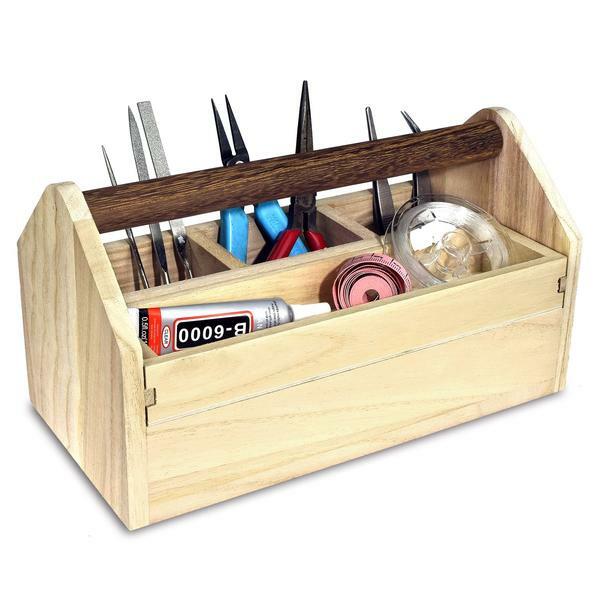 This wooden tool box’s overall size dimensions are 10" W x 5 1/8" D x 3 1/2" H.
If dad is stylish and has a watch collection, you got to give him the Watch Case with Lock. This case exudes utter machismo with its black leatherette surface and classy golden tone lock and key. 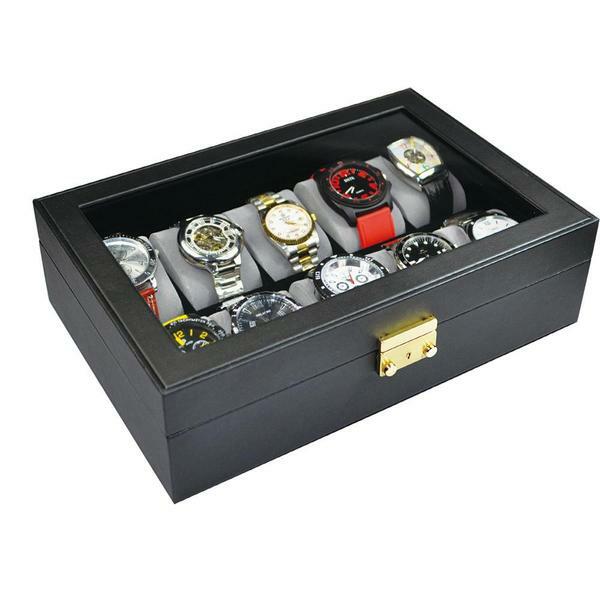 It has 10 removable velvet pillows to hold his wrist watches and protect them from scratches and other damage. Its glass view gives him or anyone a good view of the watch collection. 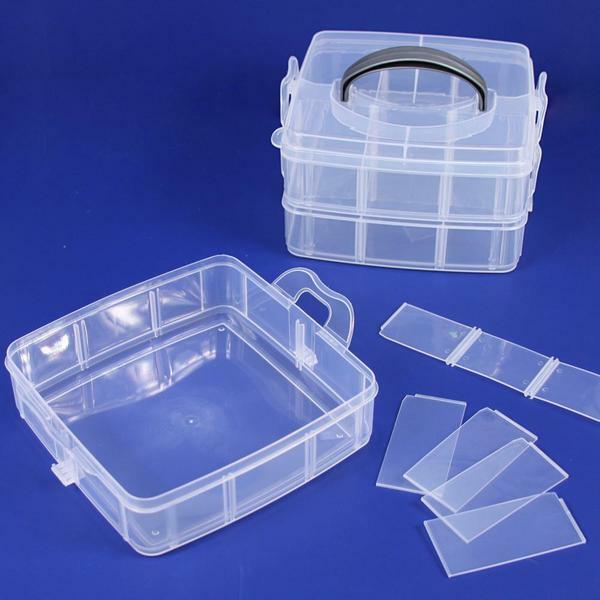 This case’s size dimensions are 11 5/8" W x 8" D x 3 1/4" H.
This Frosted Plastic 3 Layer Storage Box is perfect for any dads as it can hold basically anything -- nails, cords, wires, locks, beads, small collectible toys, and any other hardware or crafting supplies. It’s a cool alternative to a toolbox too. It features three stackable layers each with a set of adjustable dividers to up to 24 compartments. The lid has a handle for easy transport. Each layer’s size dimensions are 6" W x 6" D x 5" H.
For more gift ideas, as well as jewelry displays, organizers, and tools, check out NileCorp.com.